The football program was started in 2009 with three teams. In 2010, our program grew to six football teams, three cheer teams and joined the Pop Warner, Little Panther's Division. Our teams have grown together and look forward to growing even more in the future! In 2012, we added a new division, tiny-mites, ages 5 and 7. 2010 was MCOC's first year with Pop Warner. Our Pee-Wee team won the Doc Martin Sportsmanship Award. Jr. Pee-Wee Coach Copeland was a Coach of the week winner. ​Winners of the Lake Bowl and two teams won the Weddington bowl. In 2011, two teams won the Doc Martin Sports Award. The Jr. Pee-Wee (led by Coach Terry Thomas) team and the two time winning Pee-Wee team(led by Coach Steve Aldefer)!! Along with several bowl game winners! 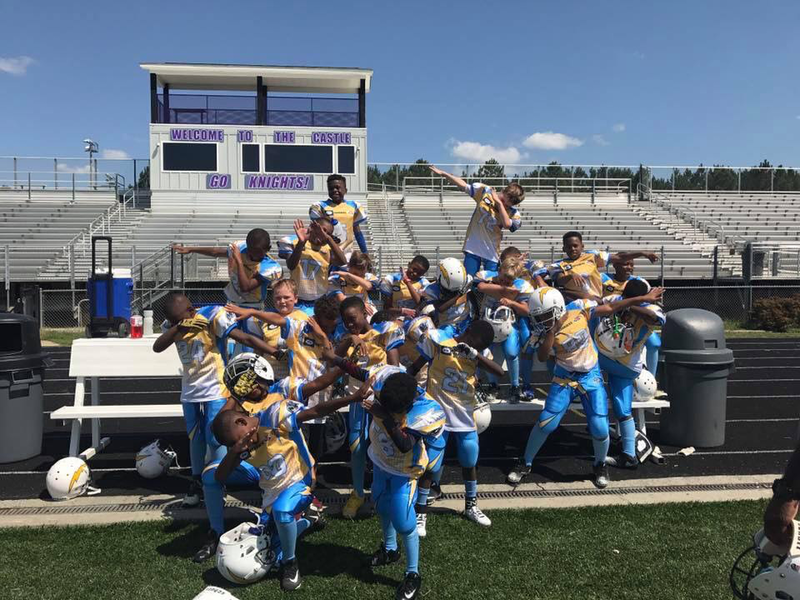 In 2014, one of our Jr. Pee-Wee teams (Coaches Hall & Thomas) went 8-1 for the season and ended their run in the Optimist Bowl. They went on to win the Bronco Nagurski Defensive Team of the Year. Three-time Local 1st Place winner and Regionally placed Cheer Teams that competed three times in the Pop Warner National Competition at Disney World (2012, 2013, 2014). Want to play like cam newton? ?